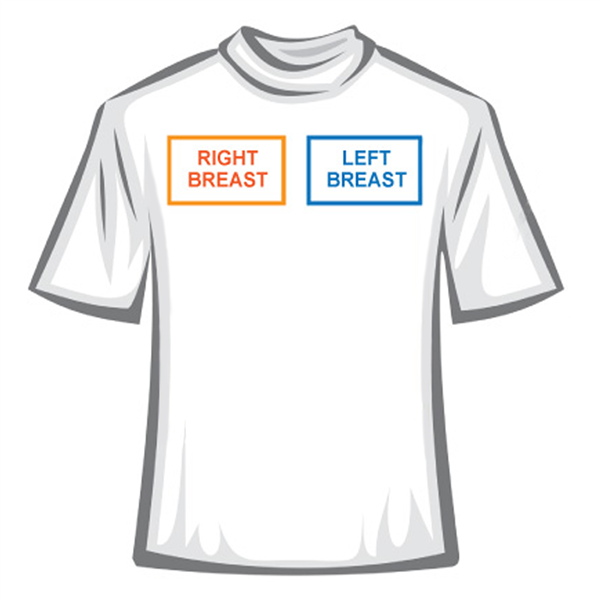 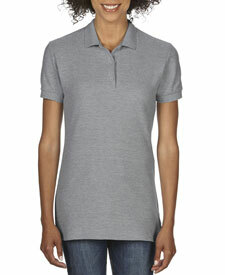 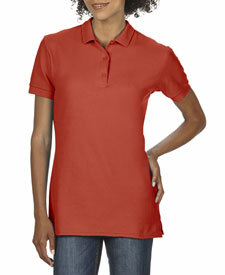 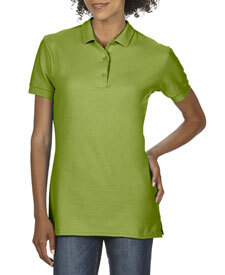 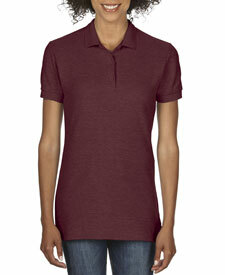 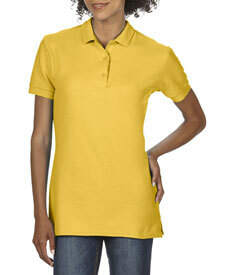 Custom embroider G82800L Gildan premium doble pique 6.5-ounce, 100% combed ring spun cotton preshrunk double pique knit. Double-needle bottom hem. Rolled forward top stitched shoulder. Missy contoured silhouette with side seam and side vents.